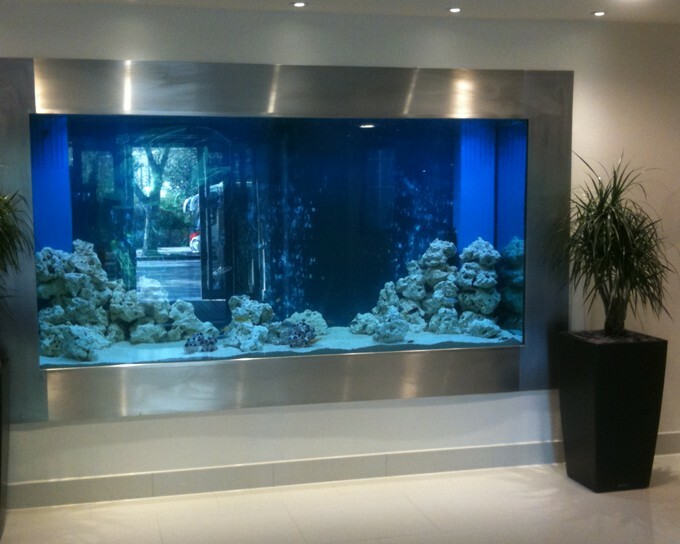 During this project we liaised with the client’s contractors to bring the aquarium from a concept to reality. This large aquarium is in the main reception of the hospital and is the first thing you see on entering. It replaced an old doorway and stairwell which the client’s builders opened up prior to incorporating additional floor space behind the aquarium to house the filtration and equipment as well as providing a suitable access point from which to service the aquarium.